The service was fantastic in both the hotel and the restaurant. Beautiful historic location, too. Very clean and a good breakfast. I would definitely stay there again. 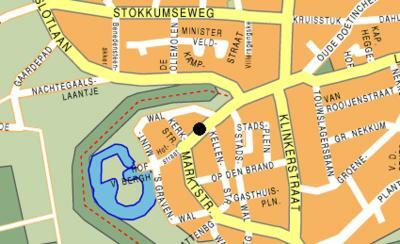 Excellent location in quaint and well preserved 's Heerenberg. Friendly staff. This Hotel restaurant is fantastic. The Rooms whilst not 5 star but generous in space. The location is just magnificent 50 meters from the Castle Berg and surrounds. The Last witch Mechteld ten ham to be burnt alive has her monument, its wonderful place. Friendly and helpfull staff. Oldfashioned but nice and clean rooms. Lovely breakfast - we got it half an hour earlier on a Sunday - super service. 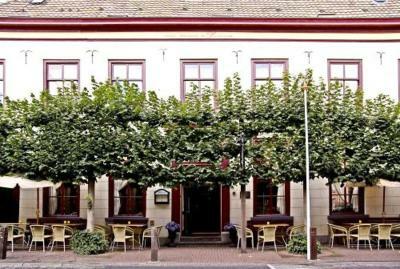 Lovely family hotel, clean and cosy, in heart of town, good breakfast and WiFi across hotel. Shower with good water pressure and bonus English TV channels. 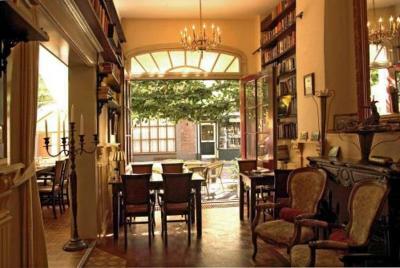 One part of the Hotel is in a very nice old house with a lot of charm. Also the bar, dinner room and breakfast room are pretty nice. Nearby, You can find very nice restaurants. De eigenaar was vriendelijk en de locatie was goed. het ontbijt was in orde. Het personeel was vriendelijk. Goed bed. Alles was aanwezig wat nodig was. De plek van het hotel was prima! Uitstraling buiten/ voorkant authentiek. Bedden goed. Hotel de Lantscroon This rating is a reflection of how the property compares to the industry standard when it comes to price, facilities and services available. It's based on a self-evaluation by the property. Use this rating to help choose your stay! 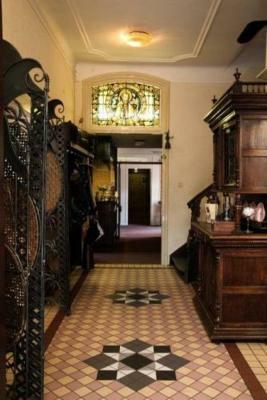 The traditional atmosphere can be recognized throughout the whole of Hotel de Lantscroon; for example in the old ceilings, leaded light windows and traditional Dutch architecture. There is an à la carte restaurant with various menus that are based on seasonal food. For your convenience the hotel has a elevator, while rooms for the disabled are also available. Unique to the hotel is the famous library with many interesting books to read. Wi-Fi is also available. After a long day of business or site seeing you can relax in the hotel’s spa bath and sauna. The central location and good facilities makes Hotel de Lantscroon a great place to stay when visiting this historic city on the Dutch-German border. When would you like to stay at Hotel de Lantscroon? This double room comes with 2 single beds or 1 double bed. House Rules Hotel de Lantscroon takes special requests – add in the next step! ATM card Hotel de Lantscroon accepts these cards and reserves the right to temporarily hold an amount prior to arrival. Hotel de Lantscroon accepts these cards and reserves the right to temporarily hold an amount prior to arrival. Please note that use of the spa bath or sauna will incur and extra charge. That the hotel was in the middle of the center. Rooms are outdated and needs to be refurnished. The bathrooms could be a bit larger. The room temperature was super cold, other than that everything was good. Rooms could do with a little touch up. The furniture looks like out of the 70th, the tarpet had a lot war wear nearby the bed and bathroom was very small. You can clamp a toilet paper roll inbetween the toilet and shower cabine --> much to little space around the toilet. The room was small, the bathroom even smaller. No airco. Cluttered/limited power outlets with loose cables hanging. The worst was that the wifi did not work in the room. It did work in lobby and cafe though.